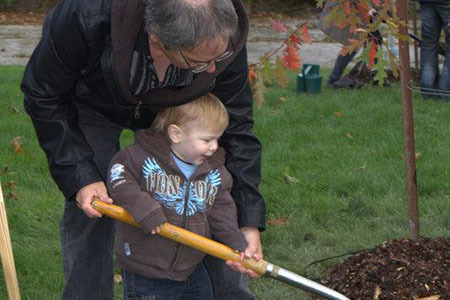 Are you looking for a way to give a lasting gift for some one special? 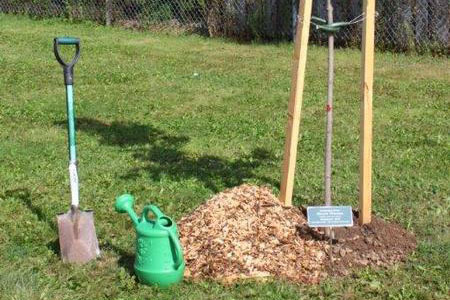 Why not a tree? 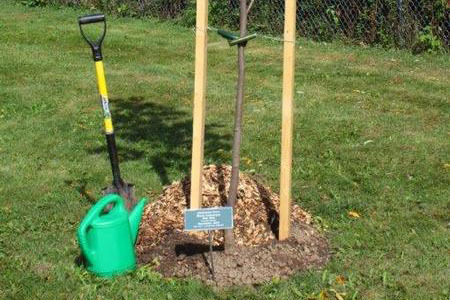 A Celebration Tree is a lovely way to mark a life lived, birth, birthday, anniversary, graduation, wedding or any special person or event. 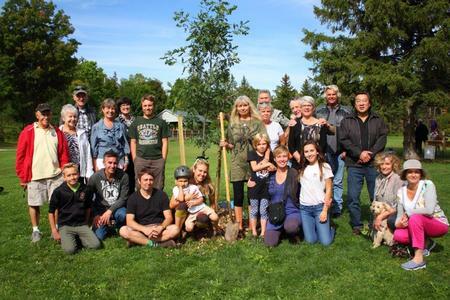 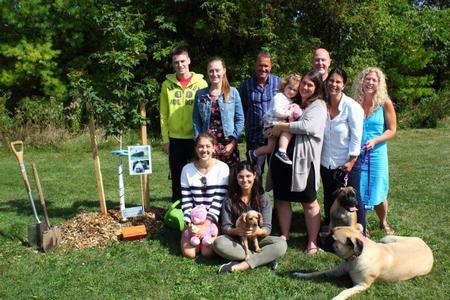 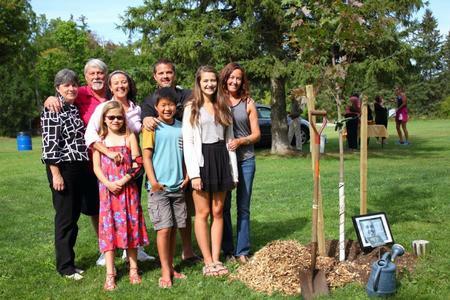 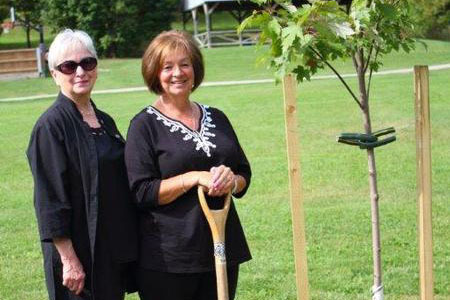 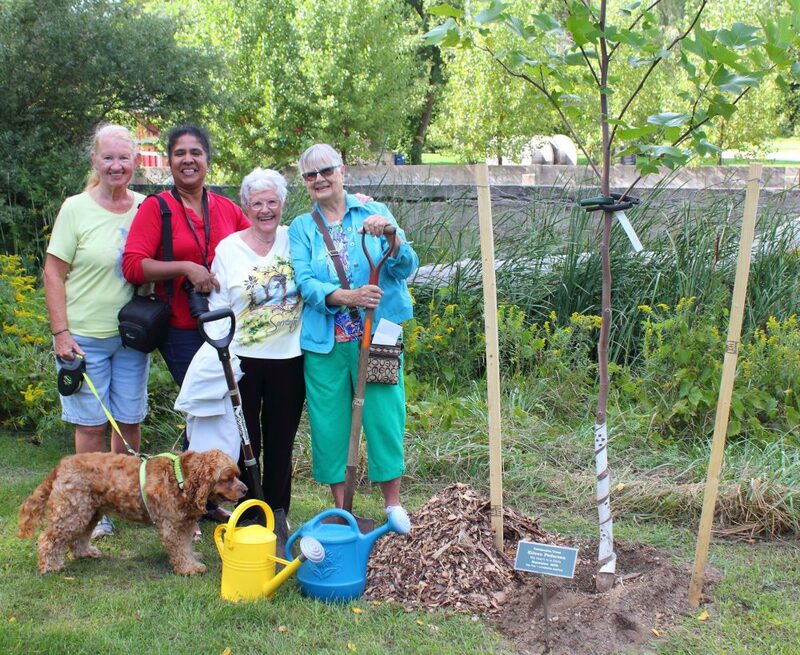 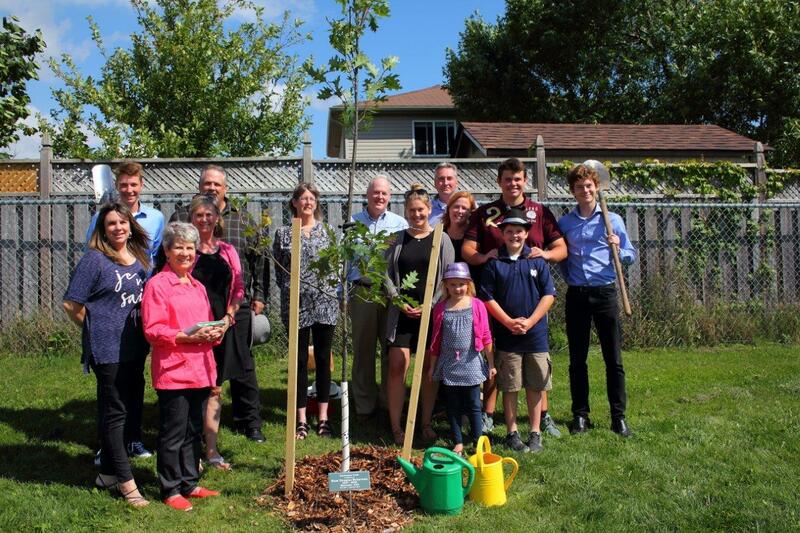 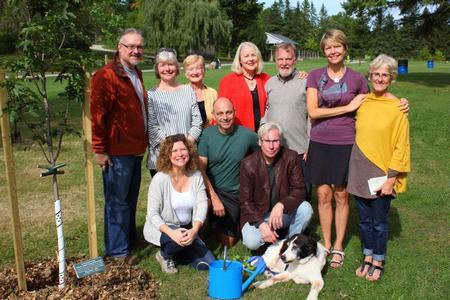 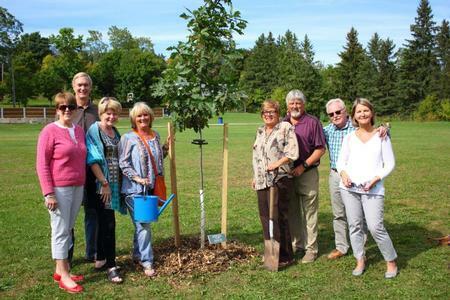 Thanks to this green initiative, Celebration Trees are being planted in parks across our community, providing shade, beauty and recognizing special people in a lasting way. 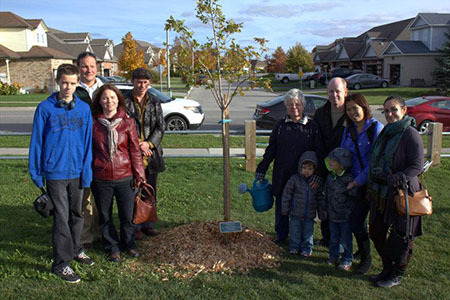 Today, close to 100 Celebration Trees have been added to our public parks since it began in 2009. 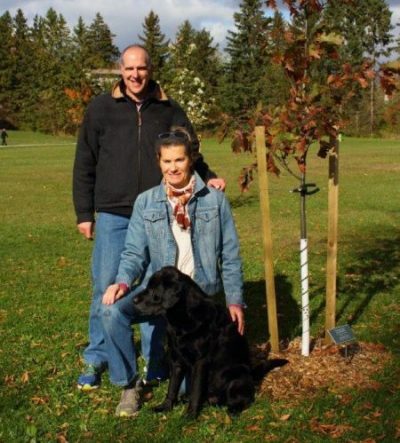 Requests for 2019 Celebration Trees will be accepted after February 1st, 2019. 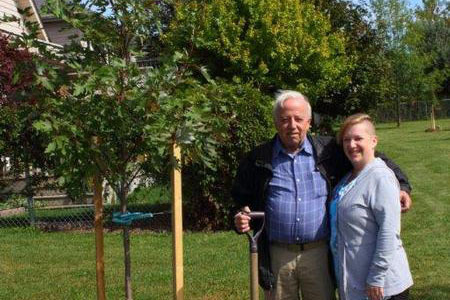 All orders must be submitted by August 1st, 2019. 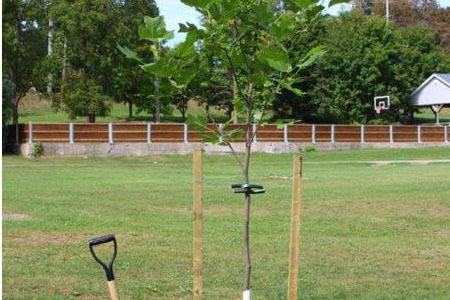 This year there are four parks available for planting, the following chart lists the available parks and what species are suitable for each park based on the conditions of the site. 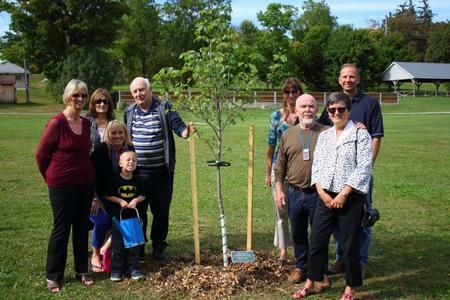 We are striving to maintain biodiversity and suitability for years to come. 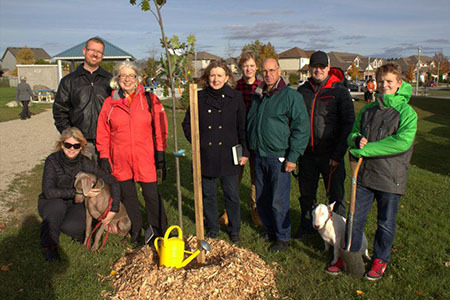 Q: When are the trees planted? 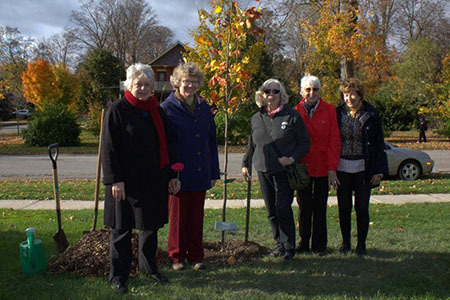 Celebration Trees are planted each fall. 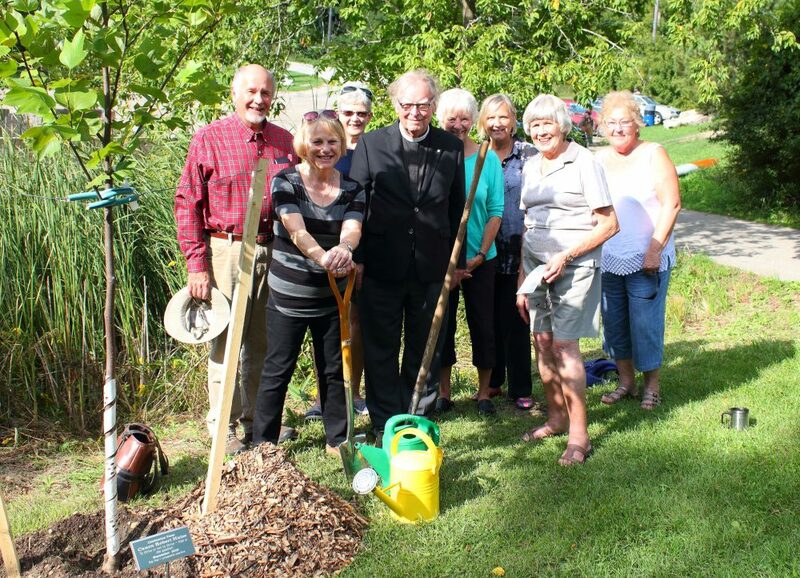 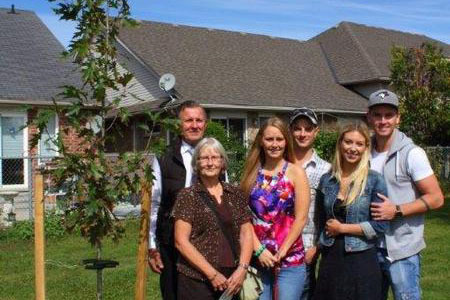 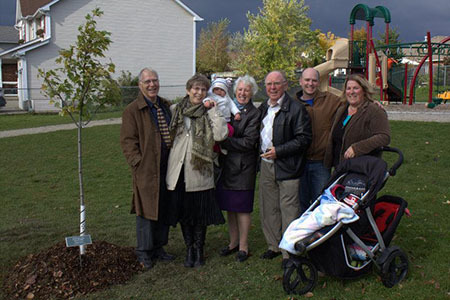 Donors, honourees and family members are invited to take part in the dedication of each tree. 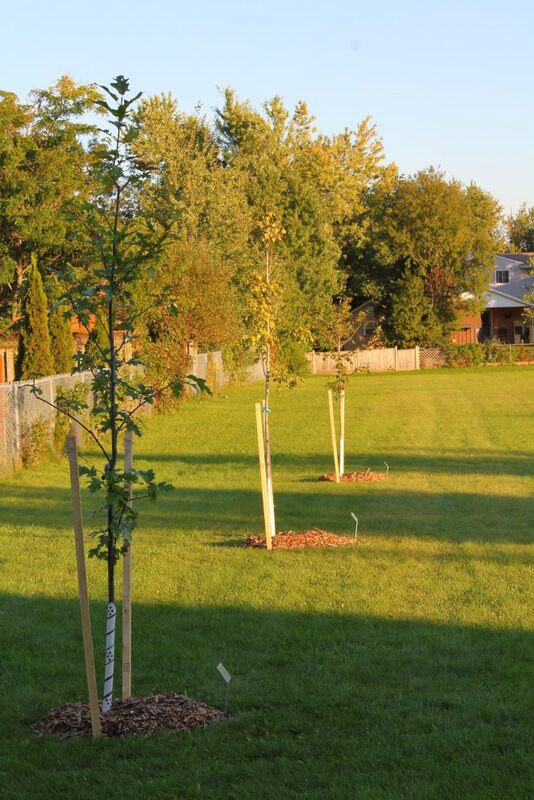 Q: Where can I find more information about the trees that are available? 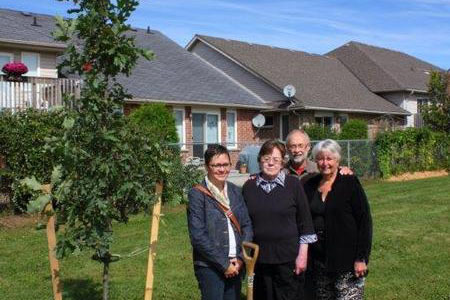 Q: What is the cost and can I get a tax receipt for my tree? 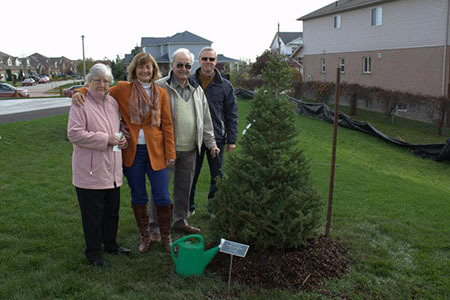 The cost of the 6 – 8 foot native tree is $225 and is a tax deductible donation. 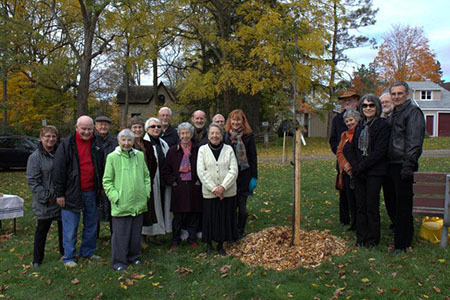 Q: How will the community recognize who the tree is honouring? 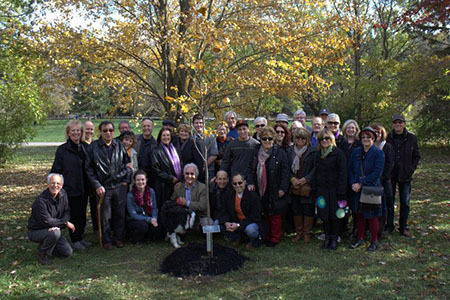 An engraved plaque is placed by each tree. 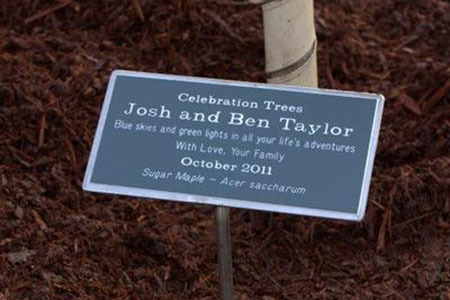 The order form has more details on what information you can include on your plaque. 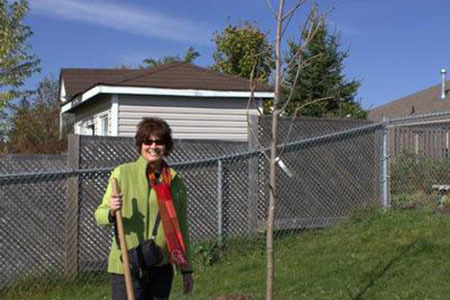 Q: Where can I have my tree planted? 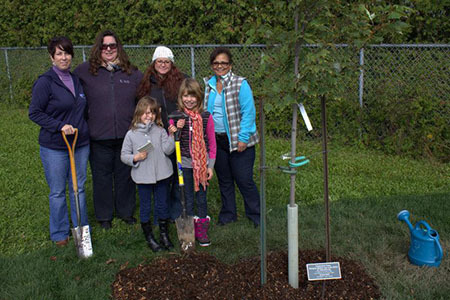 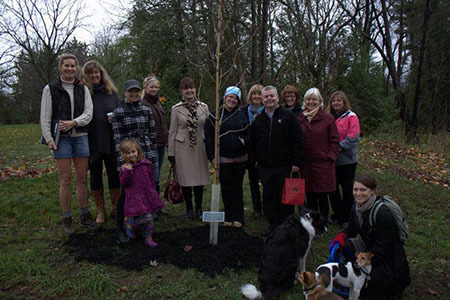 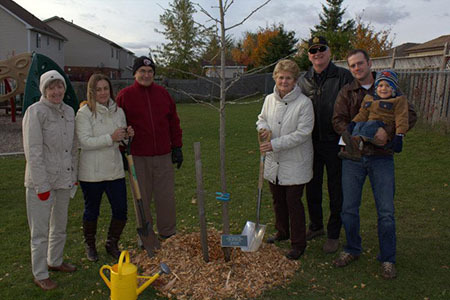 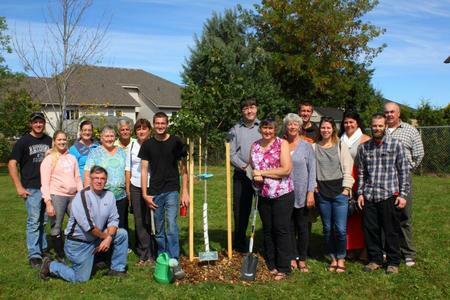 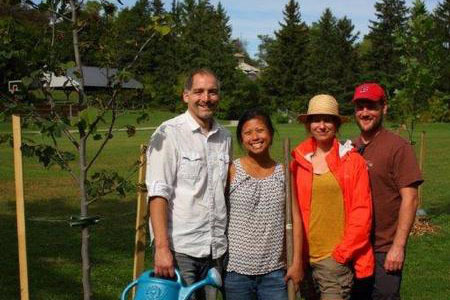 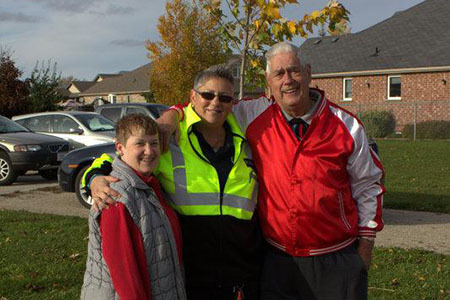 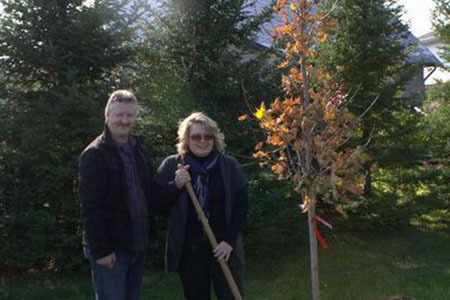 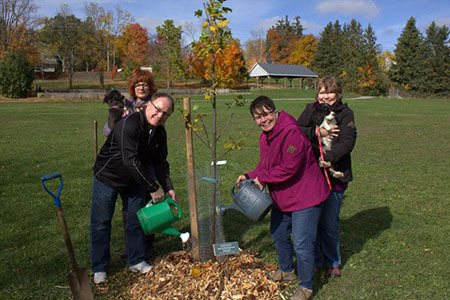 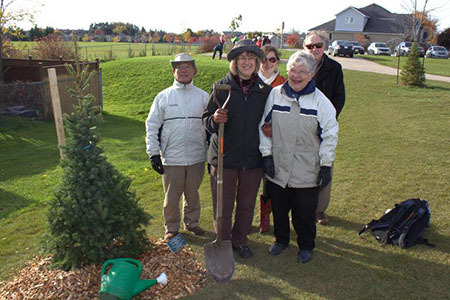 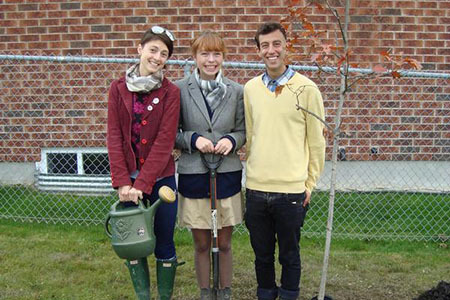 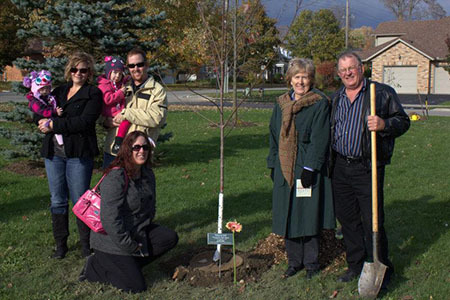 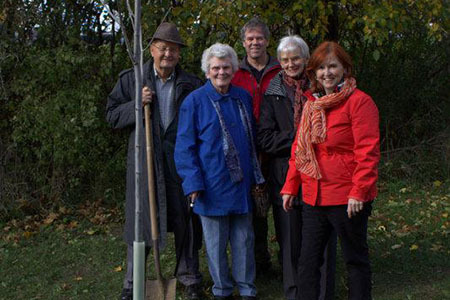 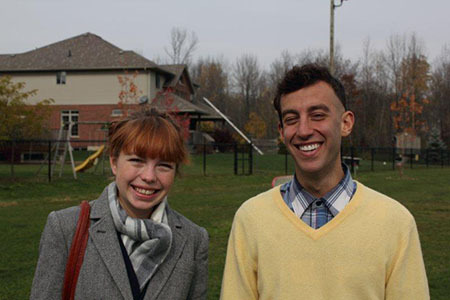 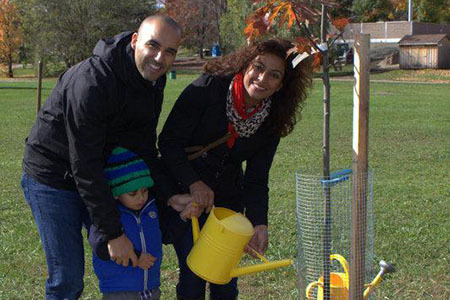 Trees are planted in community parks in Centre Wellington, Ontario (Fergus, Elora and Salem). 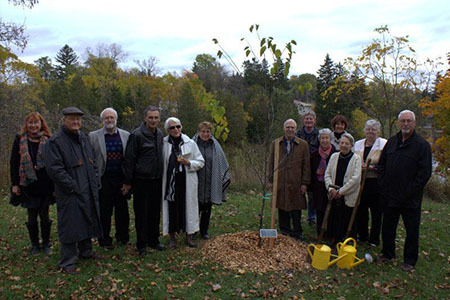 Please contact NeighbourWoods on the Grand at the Elora Environment Centre for the current park listing. 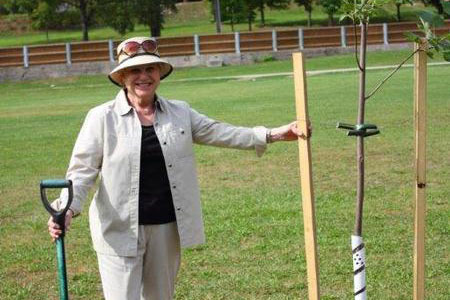 Q: Who is responsible for the Celebration Trees Program? 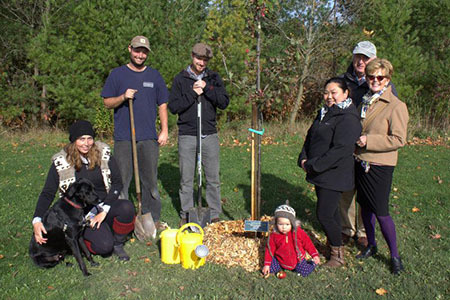 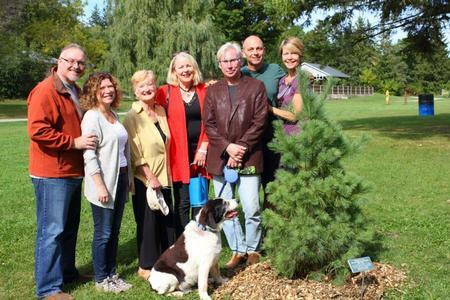 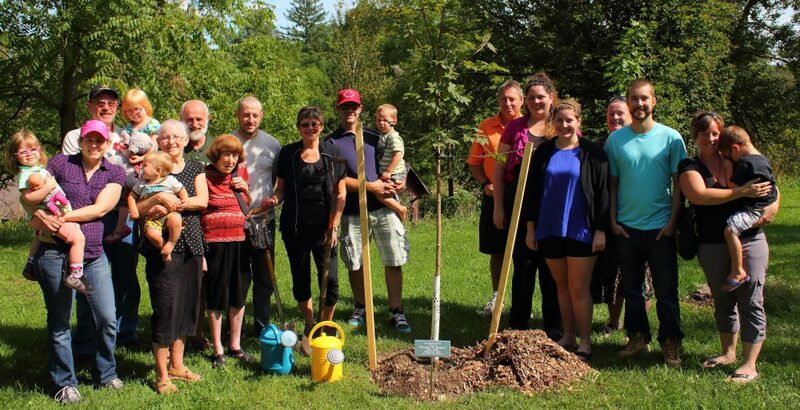 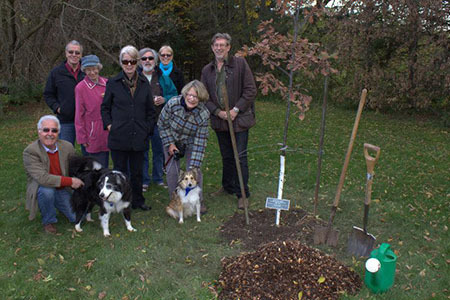 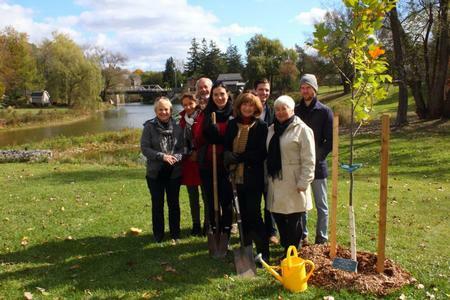 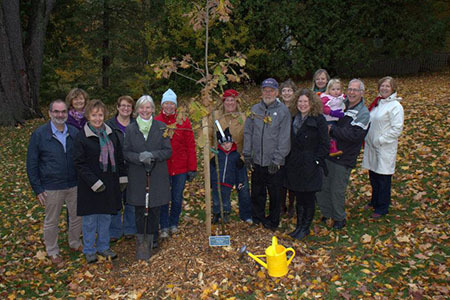 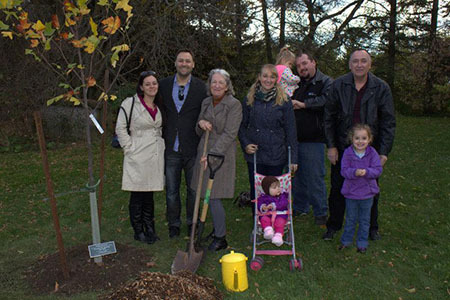 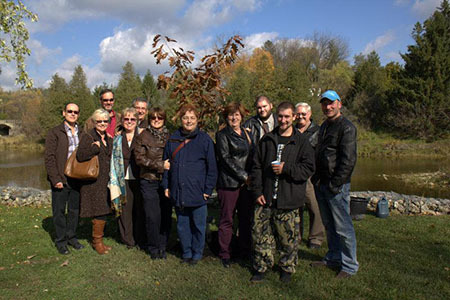 Celebration Trees is a joint venture of the Elora Environment Centre, NeighbourWoods on the Grand and the Township of Centre Wellington Parks and Recreation Department. 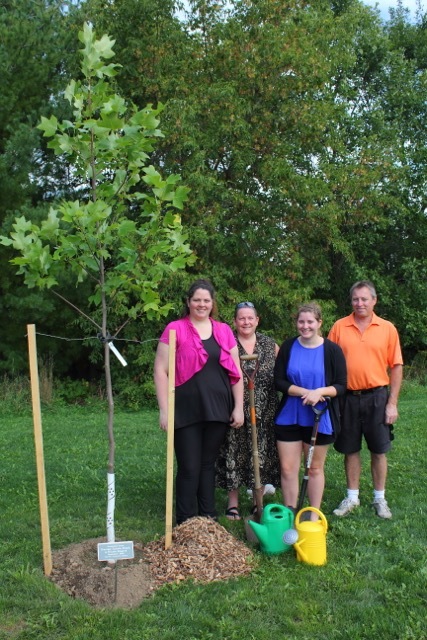 On Wednesday June 28th, the current and future ambassadors for celebration trees met in Bissell Park at the foot of Dalwood’s tree to commemorate the “changing of the guard.” Dalwood’s owners, Donna Ross (far left) and Peter Schmidt (middle), are retiring and moving east to Merrickville, just outside of Ottawa. 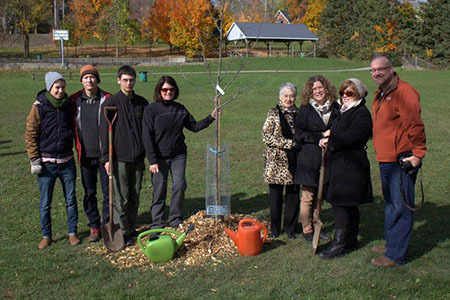 We are deeply grateful for their huge contribution to Centre Wellington parks. 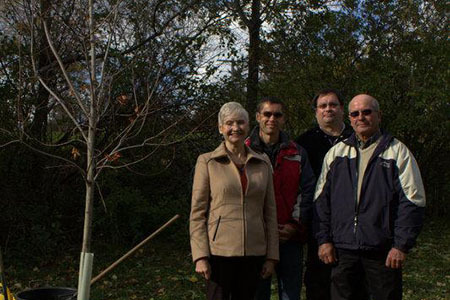 Thanks to them, we now have close to 100 trees thriving in our parks for everyone to see. 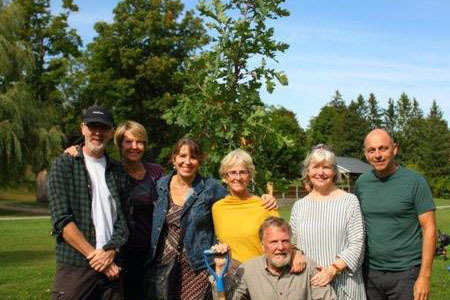 We are also delighted to welcome the new team of volunteers who are taking over the program, some of whom are pictured here. 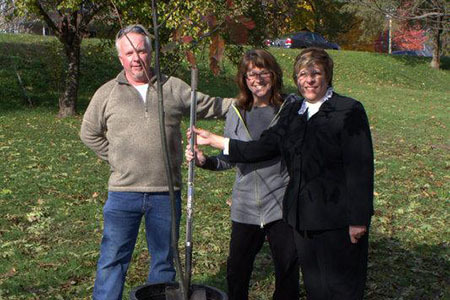 From left to right: Anne Hobbs, Susan Brown and Paul Mitchell, who will be handling public inquiries. 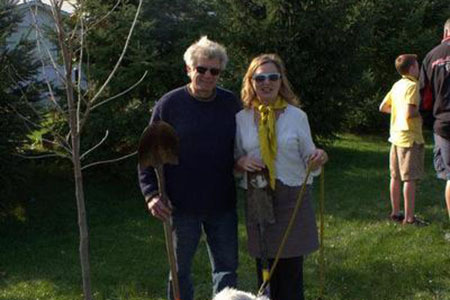 Donna and Peter- we wish you the best of luck on the road ahead!